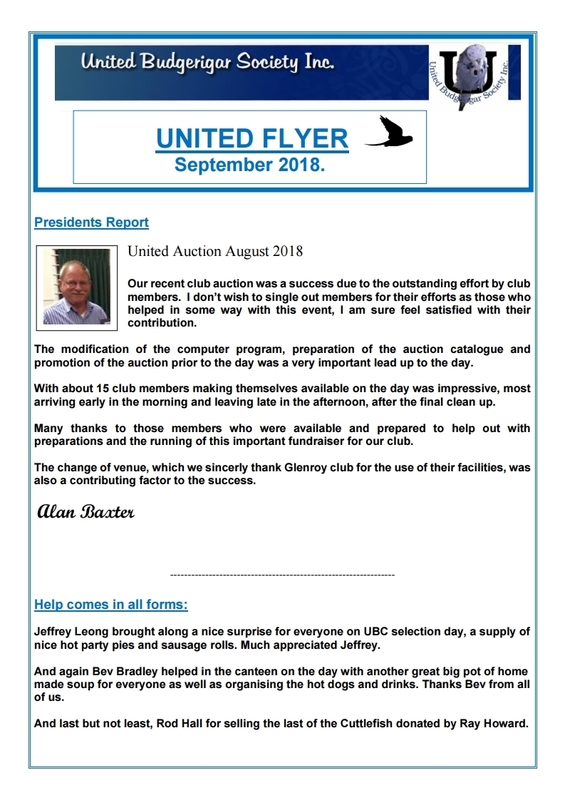 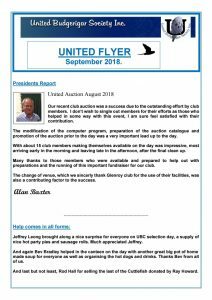 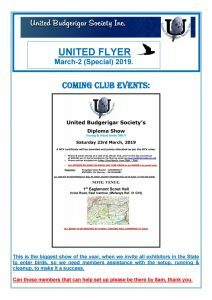 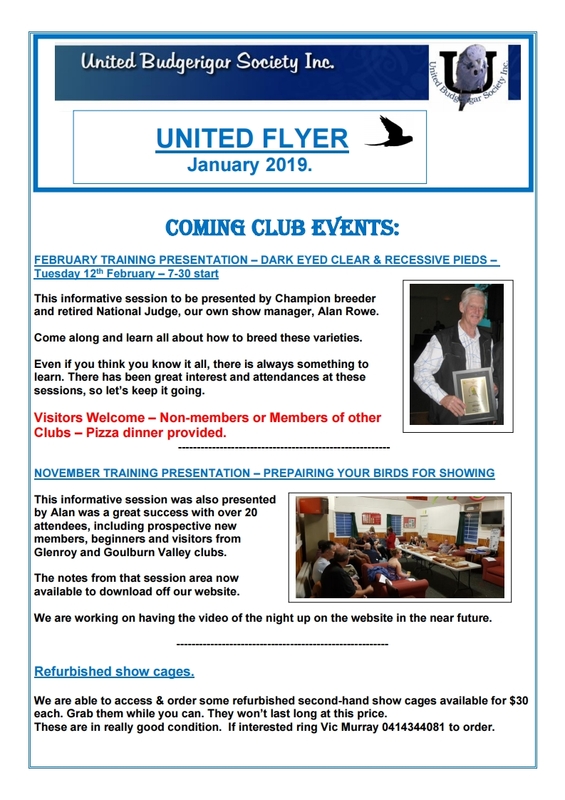 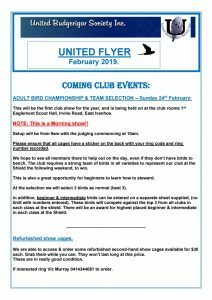 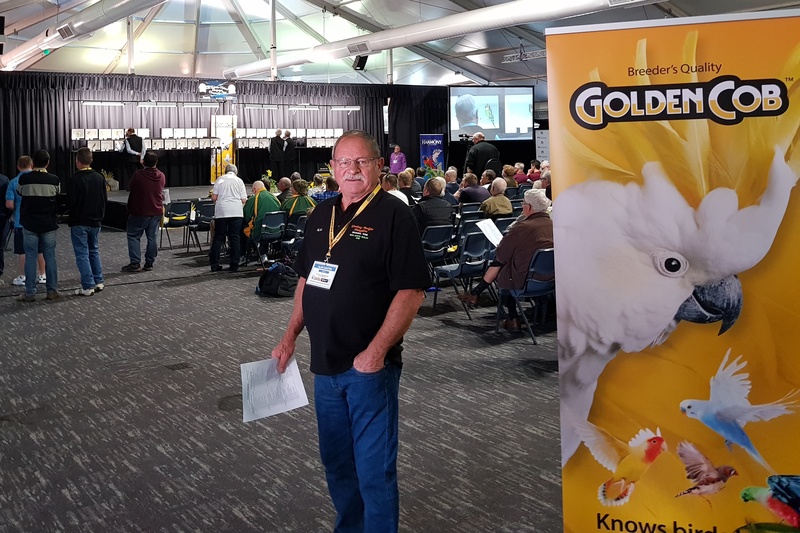 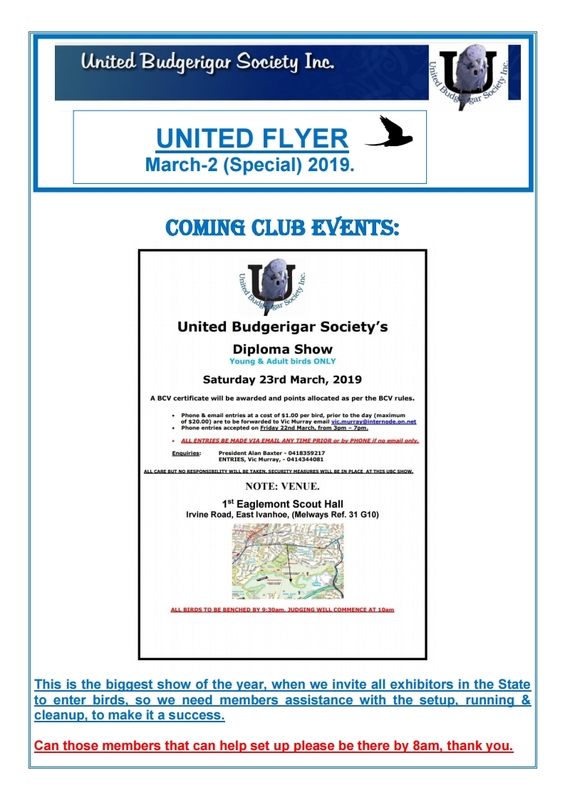 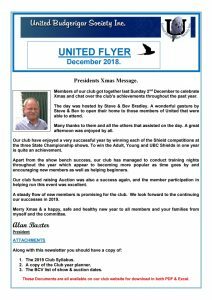 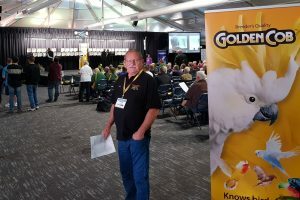 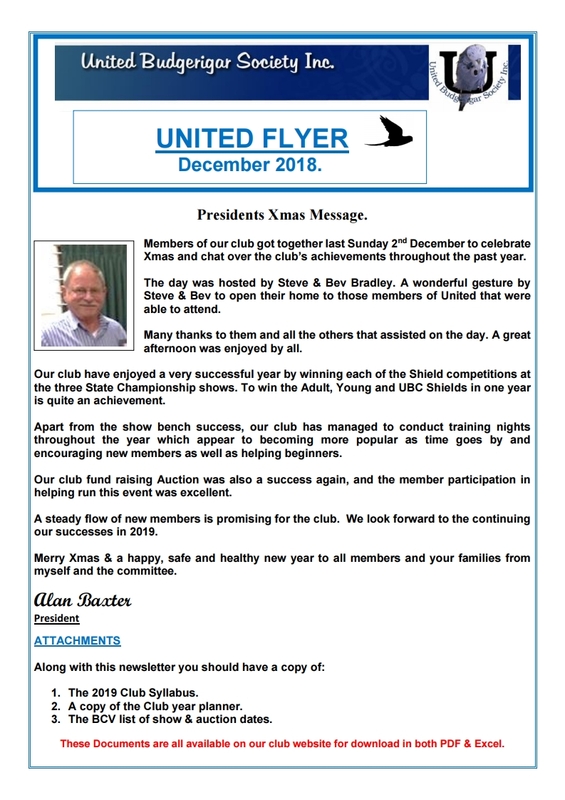 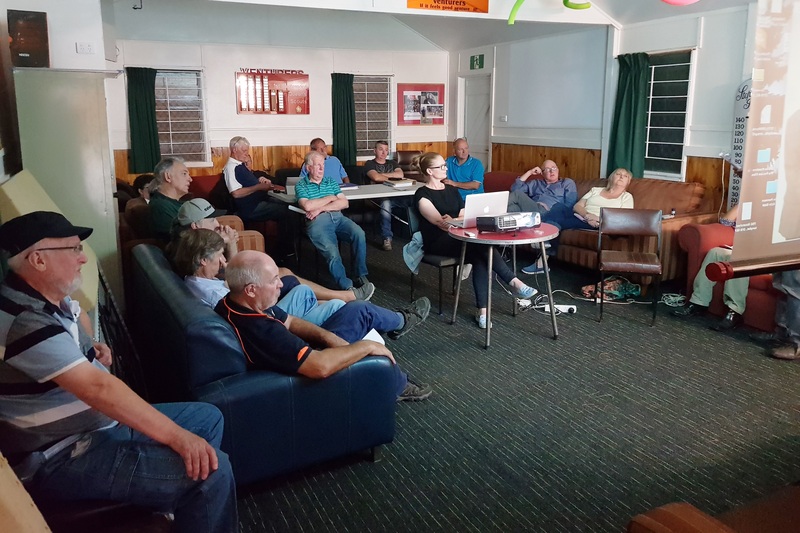 Newsletters Archives | United Budgerigar Society Inc.
AGM & Open Forum Training session. 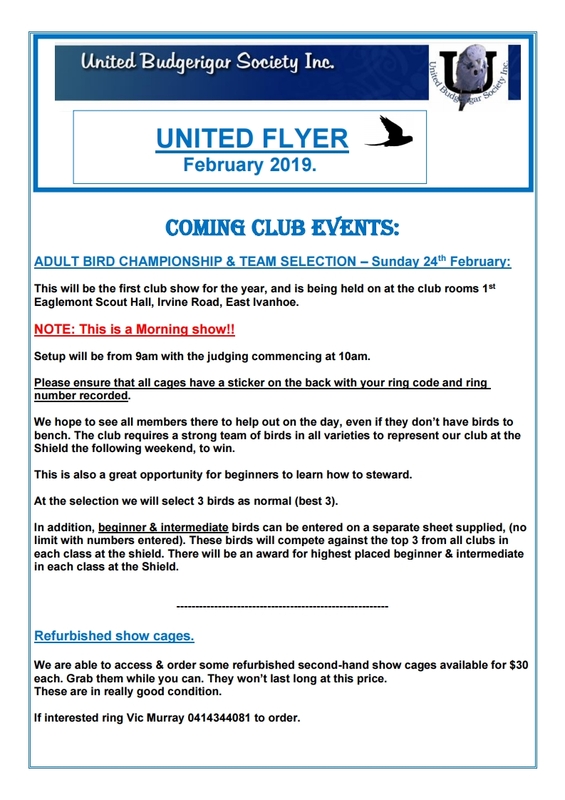 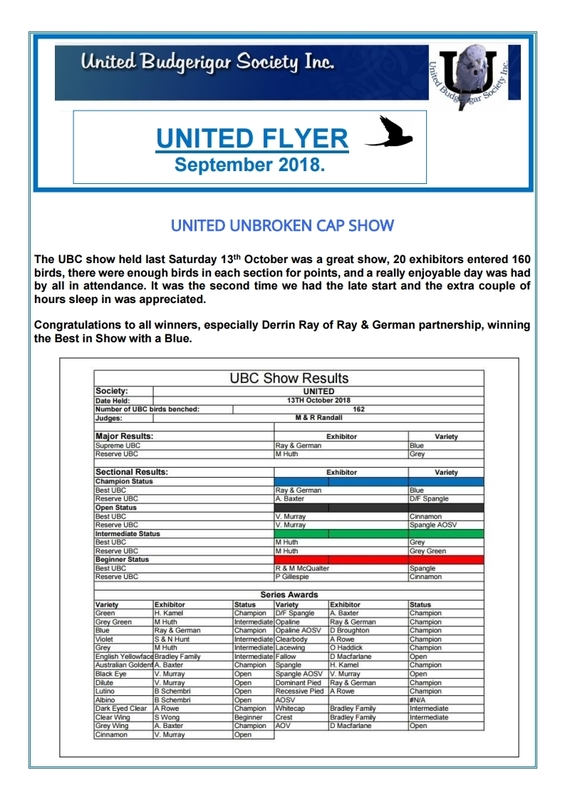 Young Bird club championship results. 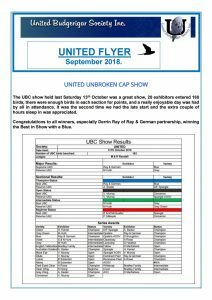 Young Bird State Championships & Shield results. 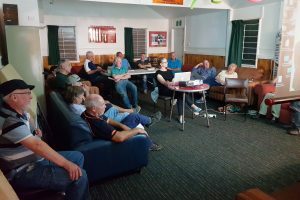 AGM & new committee results. Report on Alan Rowe & Vanessa White presentations.